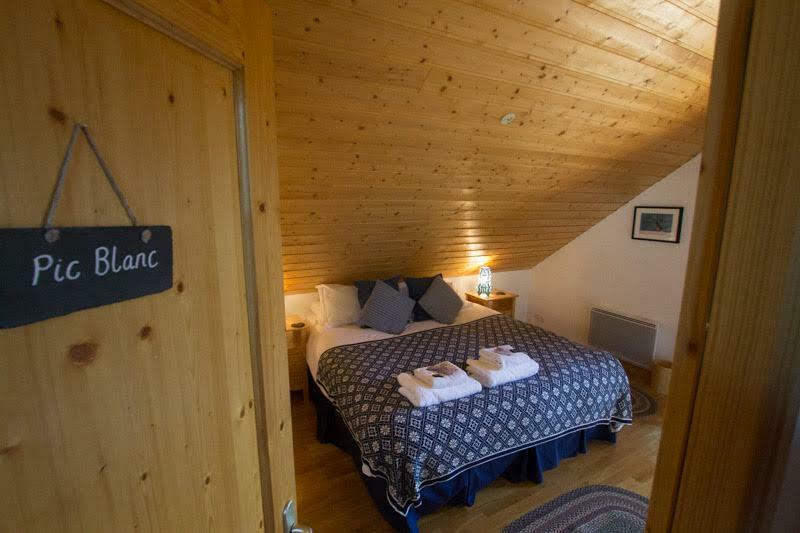 The loft occupies the first floor of Chalet Etendard with great views! This floor has 3 bedrooms which can all be set as as twin or super king beds, all rooms come with wardrobe storage, drawer space, towels, robes, high quality toiletries and hairdryers. The rooms have clean, fresh decor with an alpine feel . The landing area between the rooms has a couch and relaxation space if you need some time out after a hard day out in the mountains. Pic Blanc - Pic Blanc is a spacious room with fabulous valley views and a full height window through which to enjoy watching the snow fall. There are a couple of comfortable chairs to take in the view. Alpette - Pine clad, spacious with its own balcony and views towards the first lift of the day. Poutran - A lovely sky light for watching the snow flakes fall and pretty alpine decor.